Earlier, I shared a tutorial on how to add and remove Managers from Google+ pages and mentioned that a Google+ page can only have one owner. If for some reasons, you want to switch the ownership of a Google+ page, you can get it done if the new owner/Google+ user have been a manager of the page for at least two weeks. If you don't have any manager, you must first invite the person to become a manager, then wait for the person to accept the invitation before you can transfer the ownership rights after two weeks. Only the owner of a page can transfer their ownership rights. ==> Click on "Pages" in the Google+ main navigation. You will see a card for each of your pages. 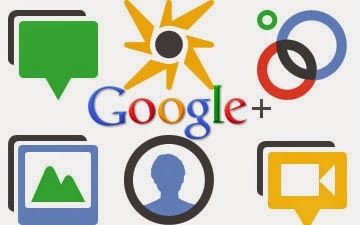 ==> Click "Manage this page" to use Google+ as the Page you'd like to transfer it's ownership. ==> Click the dropdown arrow on the card of the person you want to transfer the Page to and select "Transfer ownership to _name of user_". When an owner transfers ownership to someone else, the old owner automatically becomes a manager of the page. The transfer of ownership happens immediately -- no confirmation is necessary from the new owner. Please note that switching ownership of the page does not switch the ownership of other Google services linked to your page. Remember, Managers have all of the capabilities of an owner, except for particularly sensitive capabilities such as deleting the account or managing access.